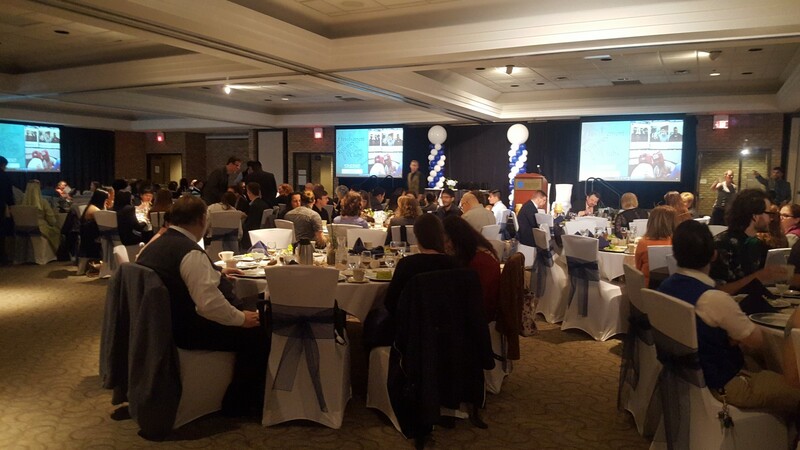 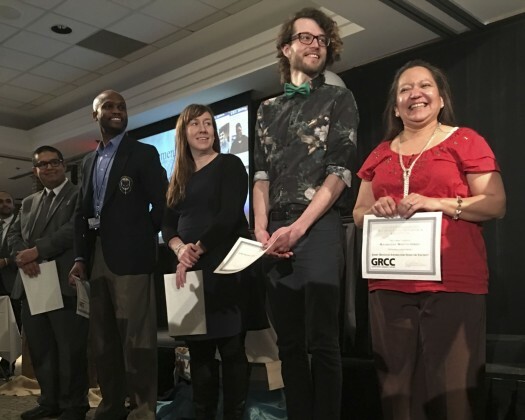 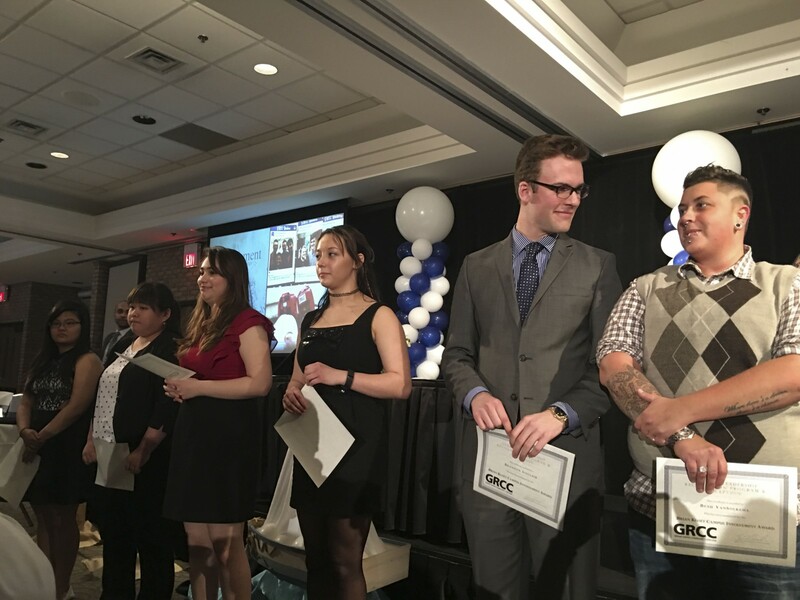 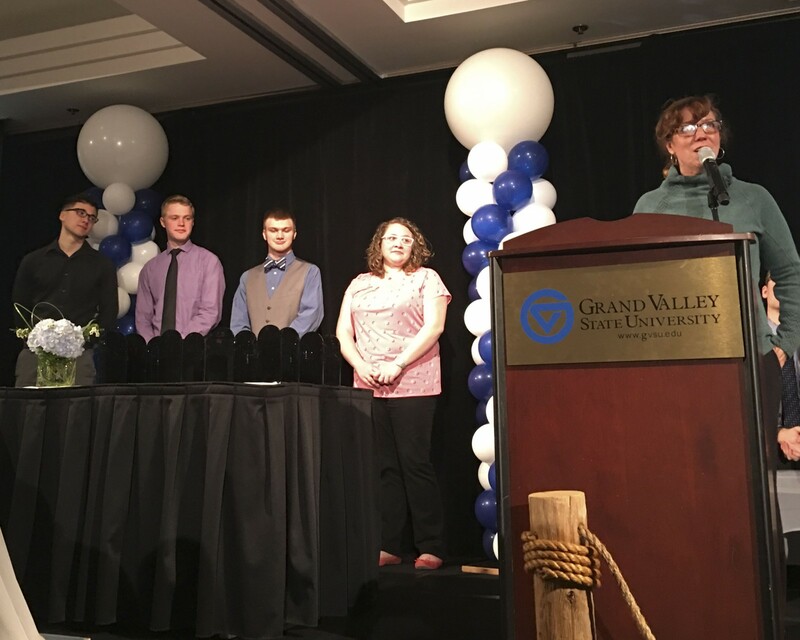 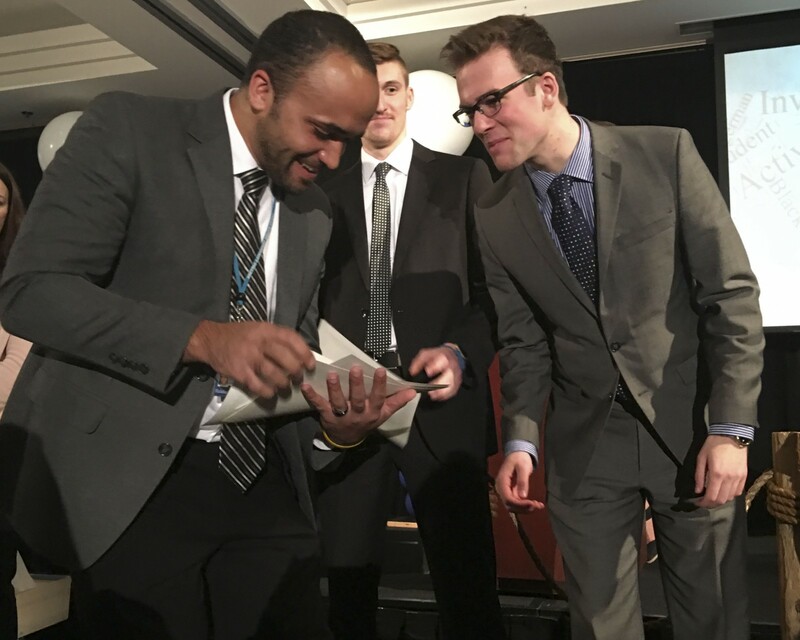 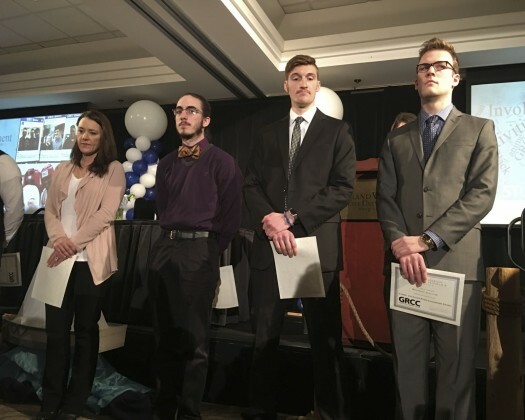 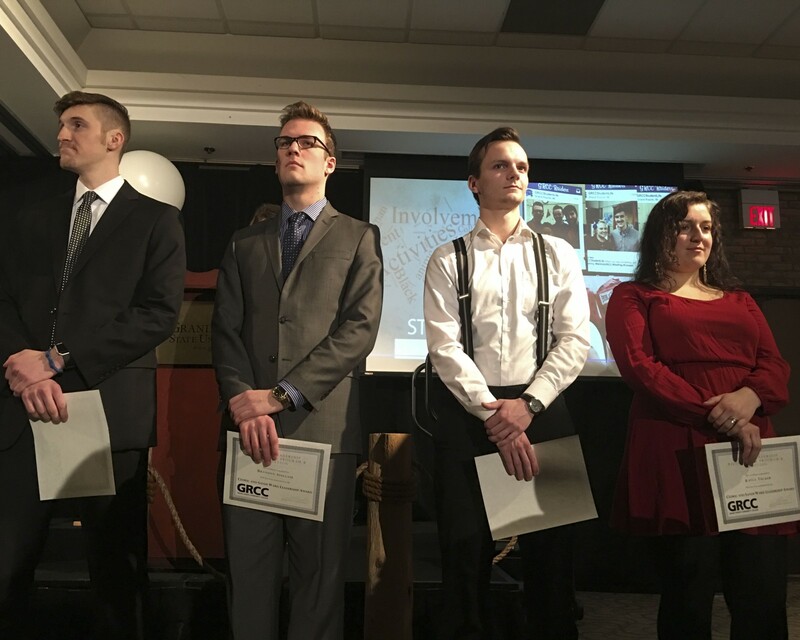 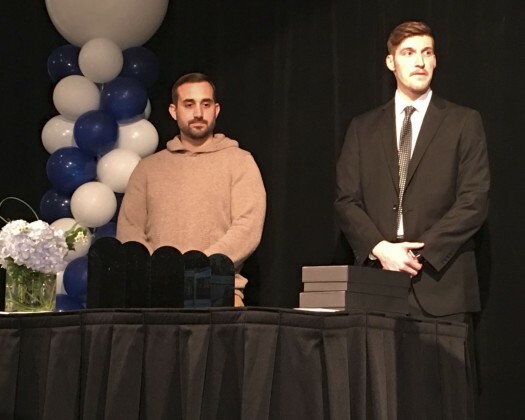 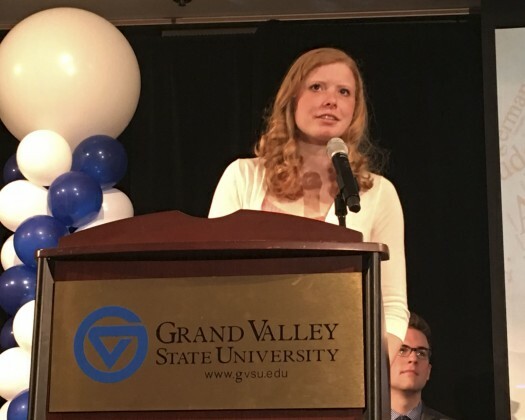 Twenty three students received awards at the 2016 Grand Rapids Community College Student Leadership Banquet, held at Grand Valley State University’s Eberhard Center, April 16. 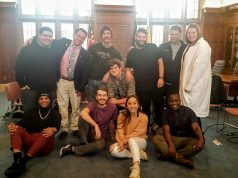 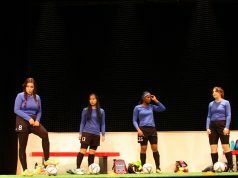 GRCC’s Student Alliance coordinated the event, and celebrate accomplishments of some of the college’s students and staff. GRCC President Steven Ender was the first speaker of the afternoon and highlighted student achievement throughout the school year. 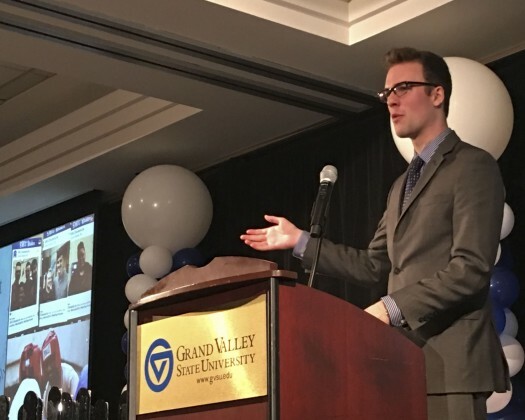 GRCC Student Alliance President Brandon Sinclair and Campus Activities Board President Hana Christoffersen co-hosted the event as the master and mistress of ceremonies. 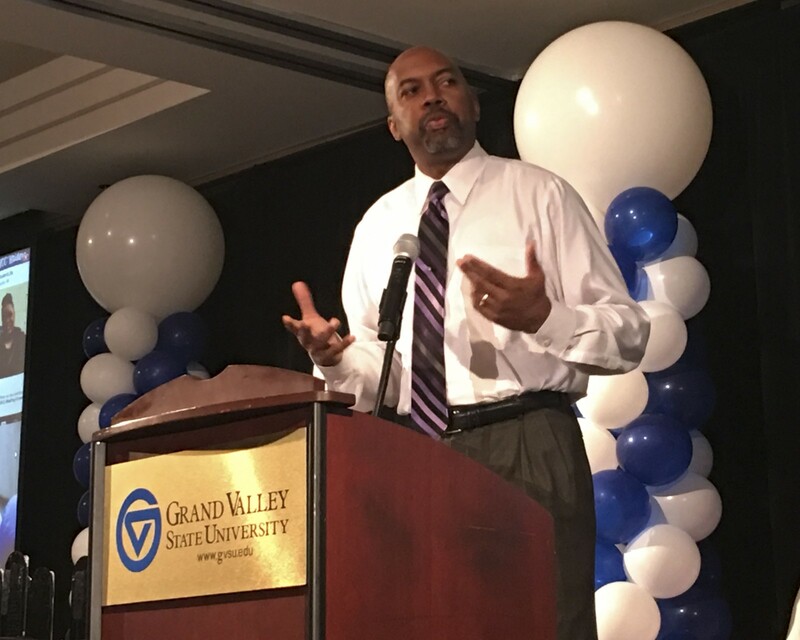 Bill Pink, dean and vice president of the school of workforce development, took the stage as the keynote speaker. Using his own humorous story about being on stage with The Temptations as an example of failed expectation, Pink said students, faculty, and staff at GRCC have set the bar for community colleges. 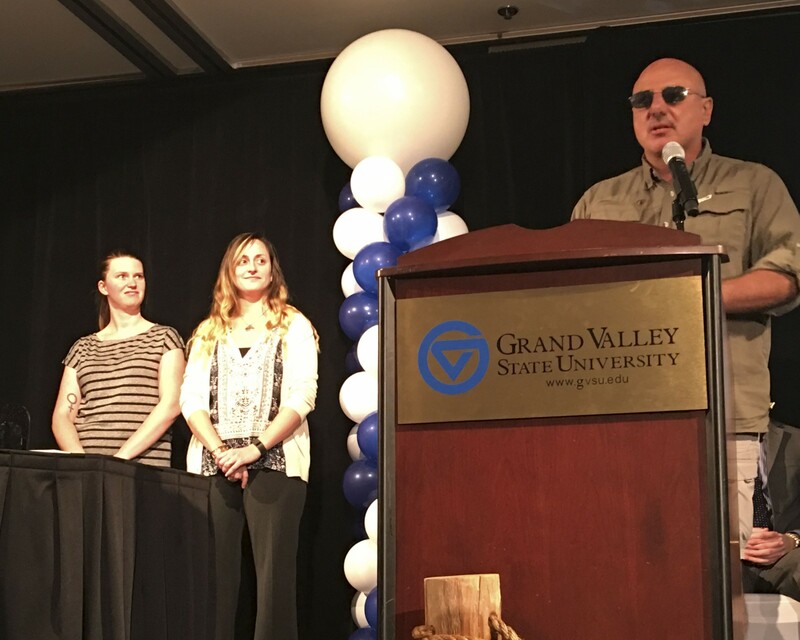 Pink went on to talk about the accomplishments of students and how organizations set new standards and new expectations because of what they do. 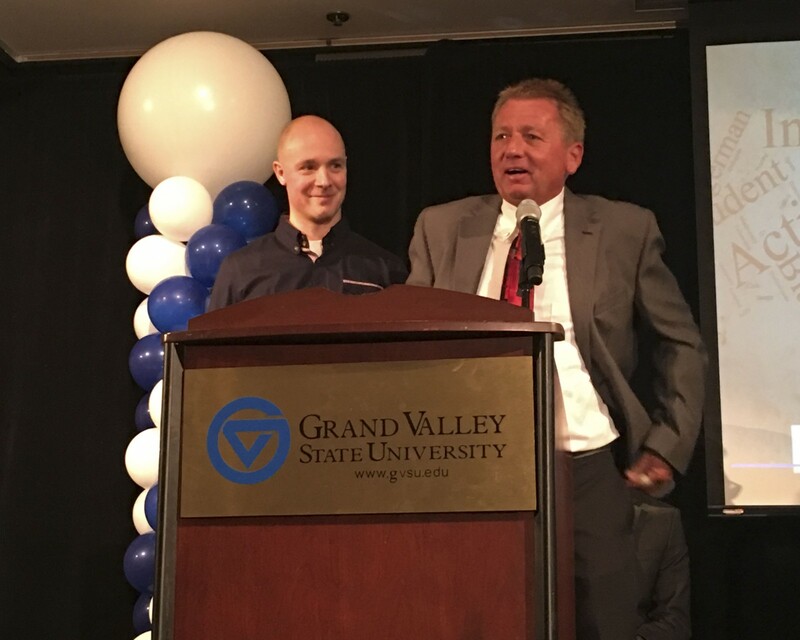 Pink said the strongest mentor of his life was his basketball coach of at Oklahoma Christian University, who would sweep the floors of the basketball court every day, despite being the one of the best coaches in the state, and having coached junior U.S. Olympic teams. 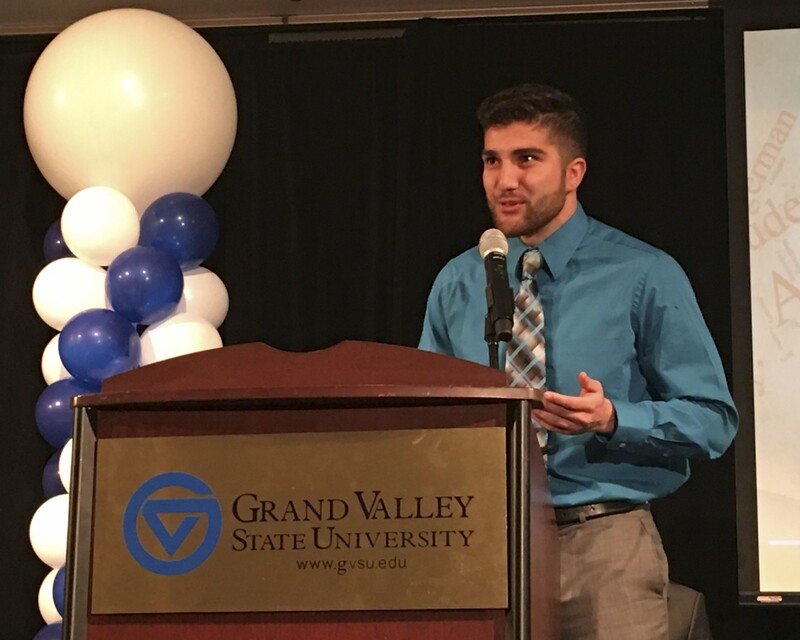 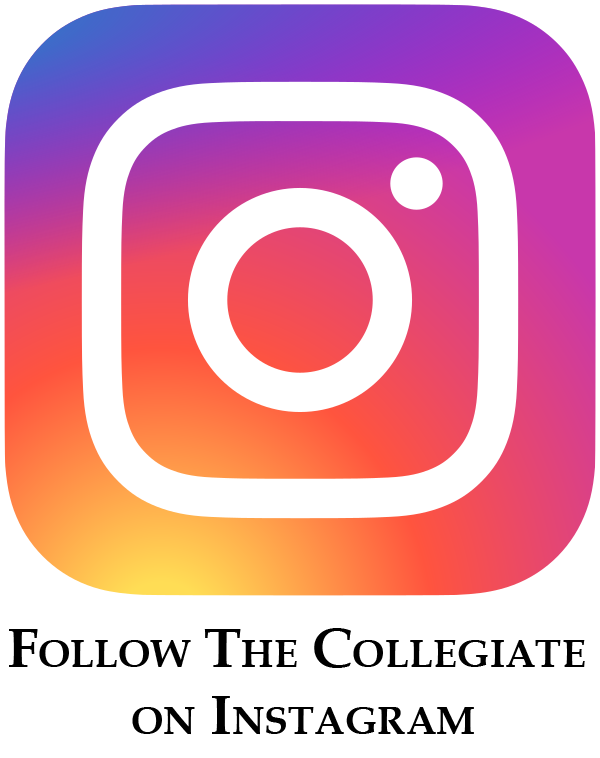 GRCC student Jose Garcia, commented on Pink’s speech. 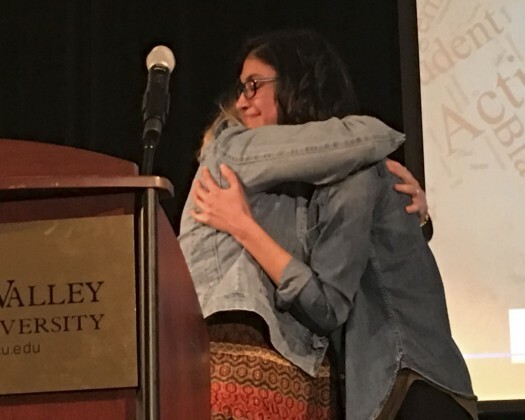 Garcia will be taking the reins as Student Alliance president in May. 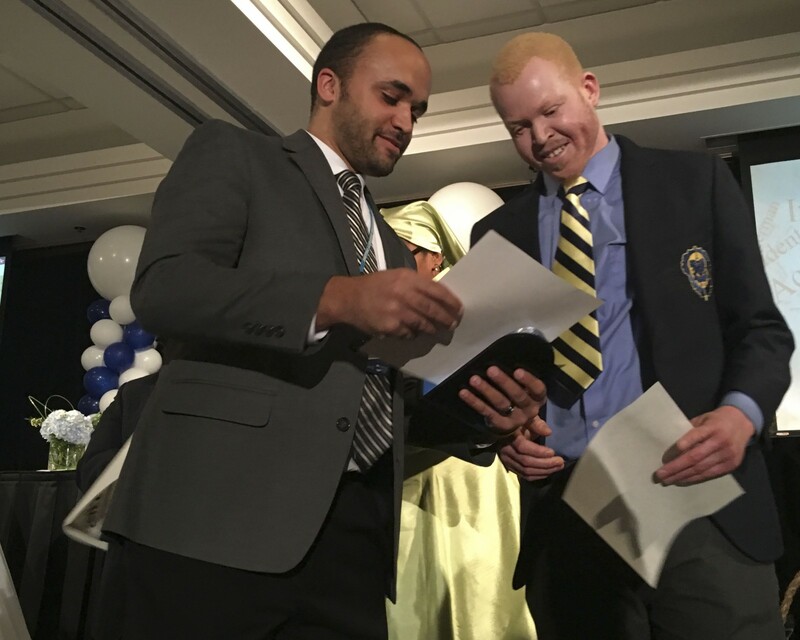 He said he was impressed by the impact students have made at the college. 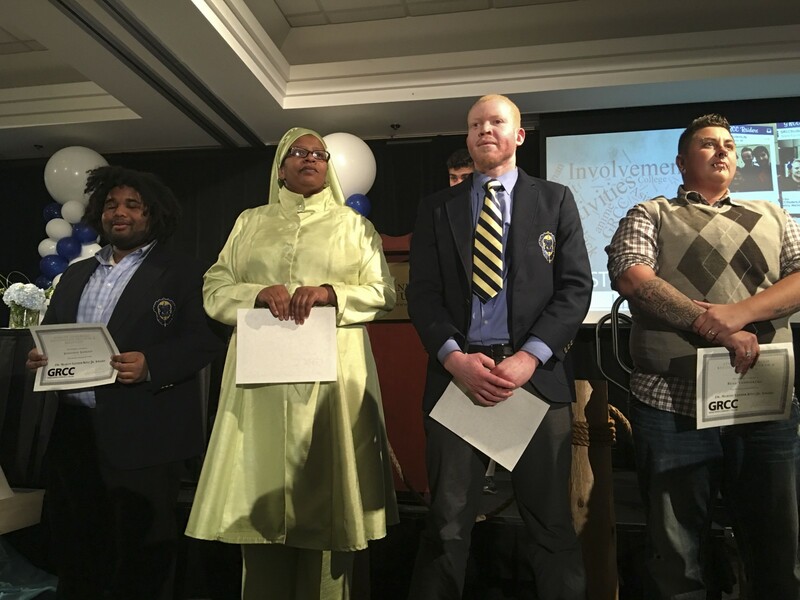 GRCC student Ahmed Ali, 22, international business and politics major, won the Dr. Martin Luther King Jr Award. Ali said he came from a large refugee camp, the award inspires him to work towards the advancement of himself and other refugees, in other countries and here in the United States. Maleny Crespo, who will soon be the new Student Alliance Director of External Affairs, was happy to participate in the event.